It took 163 games. 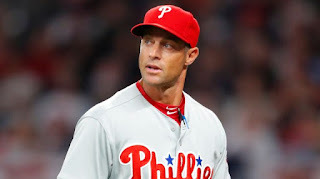 It required a full allotment of 40 players on the roster in the end and the team playing essentially a brand of playoff baseball their final five weeks of the season. But the Dodgers did it, and what they accomplished over their final 35 games showed the makings of a championship ball club. 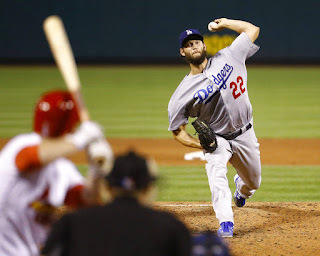 Finishing 25-10 during the stretch run, including going 6-1 over their division rival Colorado Rockies in the month of September, the Dodgers came out on top. And just barely at that too. Colorado played lights out baseball against every team EXCEPT the Dodgers, and that proved to cost them the division. This was a Dodger team with deficiencies when hitting with runners in scoring position. This was a team that didn’t perform well in one-run games. Los Angeles’ bullpen showed some vulnerabilities as well. This team had only one starter with double digit victories, and it was a ball club that rarely fielded the same lineup each night. But they overcame it all and were still able to win the division flag in what might be remembered for years to come. Consider this: runner-up Colorado won eight straight after being practically left for dead in a Dodger Stadium sweep from Sept. 17-19th. With the Dodgers playing a respectable 10-3 over their final 13 games in the schedule, a resurgent and scalding hot Rockies team caught them (and briefly overcame them) in the standings. 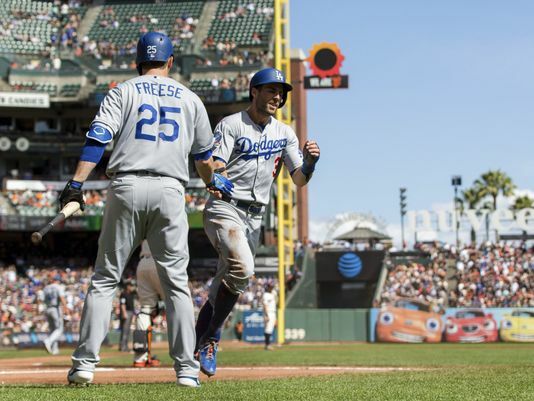 With the Dodgers trailing the Rockies in the standings by one game heading into their final series at San Francisco, the whole situation seemed like a recipe for disaster, as many Dodger fans simply hoped for a wild-card birth. The Dodgers have a history of failing against their hated rivals, especially in San Francisco. I have to admit, it didn’t look good. I had tickets to the first San Francisco game on Friday against a a fired up Madison Bumgarner. The Giants ace asked his manager to hold him back a game, giving him the start against the Dodgers in the start of the season's final series. L.A. held serve. Battling against the lefty as their own southpaw, Hyun-Jin Ryu, outpitched him in a 3-1 victory. What was I to do? Two games left, the Dodgers still down 1 game in the standings. I purchased a ticket to the second game. 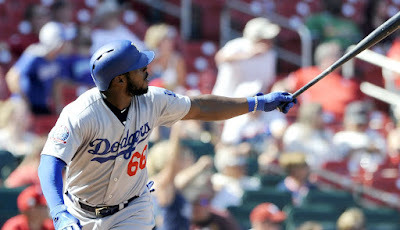 The Dodgers won again in a 10-6 slugfest, catching Colorado who finally lost a game at home against Washington. Entering game 162 in a dead heat tie with Colorado, the Dodgers decided to pull Walker Buehler from starting the series finale, to hold him back for a potential one-game playoff or possible wild card game start. Rich Hill would start, and I would buy a ticket to the last game. What a performance it was. With their backs against the wall, the Dodgers destroyed San Francisco 15-0 in an epic and memorable season finish. Hill was stellar and the offense completely superb. The Rockies were up to the task on Sunday as well, demolishing the Nationals in their home finale 12-0 to set up today's game # 163 at Dodger Stadium. Such was the back-drop before today's historic one-game playoff. 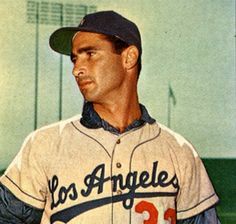 With some trepidation, Dodger fans watched today's game recalling Dodger history reminding them of heartbreaking playoff losses in 1980, 1962 and even 1951. Today, October 1, 2018, was different. 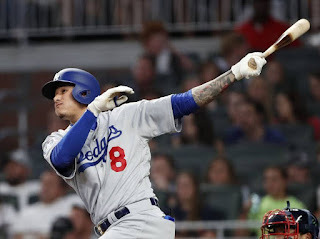 Winning as they have all year, with the home run, the Dodgers took game # 163 with a 5-2 victory, backed by an ace-like pitching performance by Walker Buehler and a pair of two-run homers, one each by Cody Bellinger and Max Muncy. Buehler took a one-hitter into the 7th before being lifted with a five-run lead. Today's win was huge for a number of reasons. 1) A loss meant a wild-card play-in game as a visitor in Chicago. Facing Jon Lester on the road would have been a very tough chore. 2) The ball club gets two days off to set the pitching order in place and rest up after a rigorous stretch run. 3) They clinched a home field advantage in the first series, and against all teams except Milwaukee. 4) They remain at home through Friday night while others are all traveling, a huge advantage. 5) Their first opponent, Atlanta, is a young and inexperienced team, completely beatable. Facing Milwaukee initially would be facing a team even hotter that the Dodgers. So October baseball has begun. Eleven wins will be required. Last year's team went 10-4 in post season play, one game short of the brass ring. 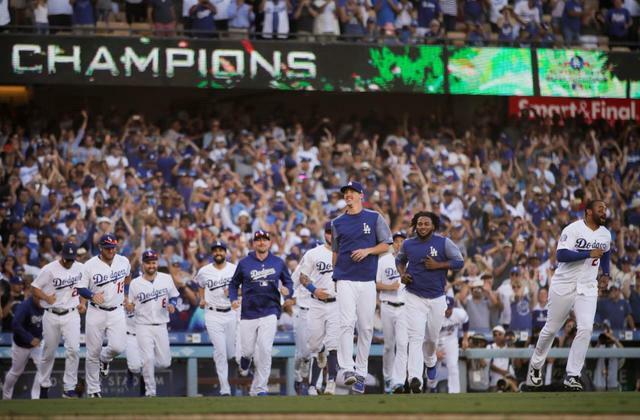 The Dodgers know that there is one thing on their minds and that is winning the whole thing. On San Francisco radio this morning, former Giant pitcher and current broadcaster Mike Krukow, one who is usually reluctant to spread praise on the Dodgers, did just that. "They're the best team in the National league. Their offense is hitting it's stride. We just finished a series against probably the best team in baseball. 15-0 tells you that." Is It Possible that the Dodgers Are Finally Hitting Their Stride in September? 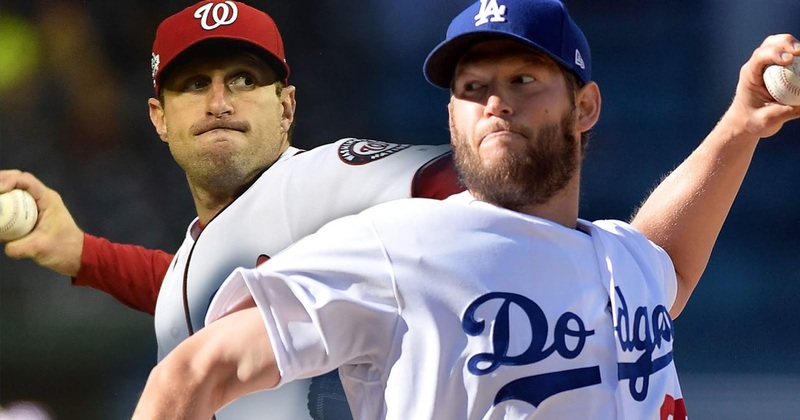 Some Dodger teams in the past five years during their division title streak have had a tendency to get hot in unprecedented fashion. This is something that has avoided the 2018 ball club. But maybe, just maybe, they are now starting that historic win steak. This time at the perfect time of year. Few will forget 40 wins out of 50 games in the months of June and July in 2014. And then there was last season's summer run where the Dodgers went 55-11 between June 7th and August 25th. Both were unforgettable hot streaks and at record levels. Most would agree that both those teams peaked too soon. Could you imagine if one of those team had that incredible run in September/October? I may be going out on a limb with this observation, but perhaps we are about to see it now. 2018 has been frustrating for those if us used to watching the blue have a torrid hot streak the past few years. Just when things have seemed to get on track this year, they get swept by the likes of the Cardinals at home. With a crucial road trip in September, they started fine with two wins out of three in Colorado, only to drop two in a row in Cincinnati to the last place Reds. Things looked pretty bleak on Wednesday of this week. By tonight, (Saturday), all those bleak predictions are out the window. Suddenly, when the team really needs a hot streak, they are on it. It is make or break time. A failure here means no October baseball. After the last four games, none of us can imagine an October without Dodger baseball. These guys are clicking on all cylinders. What shouldn't be overlooked are the 8 innings of shutout-2 hit ball that Walker Beuhler pitched on Friday night. 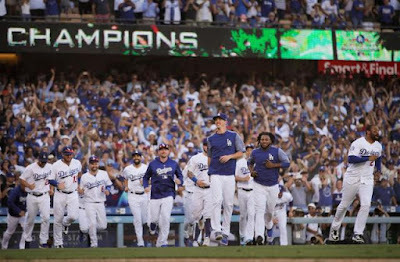 There was one event over the past four games that stands out to me, and I'm hoping it will be talked about in the future as the "catalyst" that launched the Dodger championship season. I'm talking about the "At Bat of At Bats" by David Freese. On Thursday night, with the Dodgers facing a dominating Cardinals club that completely manhandled them in a 3-game sweep at Dodger Stadium in late August, former Cardinal David Freese came to the plate in the first inning with Turner and Machado in scoring position. This is the typical situation we have seen all year where a Dodger would fail to deliver, stranding runners on base. Not this time. In a 14 pitch at bat, reminiscent of Alex Cora's 18-pitch masterpiece against Matt Clement back in 2004, Freese laced a triple down the left field line to start the Dodger offensive onslaught this weekend. Cardinal starter Austin Gomber was ineffective after raising his pitch count to over 30 in an effort to get the first three outs of the night. Perhaps I'm wrong, but the David Freese at bat may turn out to be the catalyst to lift the Dodgers season. Meanwhile, let's sit back and enjoy some pennant race baseball. There are 13 games to go, and if the Dodgers are hitting their hot streak stride right now, October baseball should be mighty fun to watch. On August 22nd of this confusing, inconsistent and tumultuous Dodger season I made a mental note that the Dodgers would need to win 24 of their remaining 34 games to qualify for post-season play. At the time, it seemed like a daunting task. The club was coming off being swept at home by what appeared to be a superior St. Louis Cardinals team. Kenley Jansen was getting smacked around, obviously not himself. The offense wasn't hitting with men in scoring position and the team was a mere six games over .500 at 67-61, 4 1/2 behind first place Arizona. They had a day off to think about things, regroup and start over against a couple of last place opponents, (San Diego and Texas). So now, 19 games later, the Dodgers have played at a 13-6 clip, still behind in the division standings, but certainly in the running for a playoff spot. They continue to frustrate us losing to cellar dwellar Cincinnati in 6 of 7 on the year, but taking a series on the road from first place Colorado, in a respectable performance over the past weekend. This is a Jeckyll and Hyde team that is impossible to predict. My confidence in them taking the National League Pennant again isn't high, yet then there are signs every once in a while that the magic has returned, only to see the team to fall back into bad habits. Let's take last night's 9-7 win at St. Louis for instance. The team looked fantastic. Kershaw was dominant in early innings. Striking out Cardinals at a clip we hadn't seen all year. The offense clicking, hitting with runners in scoring position, at one point 5 for 7 with men in scoring position. Even hitting back to back sacrifice flys, a rare occasion this year. Up 8-1 in the 5th, this game was in the bag, right? Not this year. Kershaw started getting hit. The defense sloppy. The base-running, stupid, (what were you thinking Barnes?). Relievers struggling. Offense stranding runners again. Kenley Jansen - lost. By the ninth, this laugher has turned into potential tragedy. A win in game one at St. Louis should have raised confidence, but the way it ended put a damper on that. Last night's game was 2018 in a nutshell. It should have been an easy win. Instead it was a roller coaster ride. They go at it again tonight with Walker Beuhler. Another "must" win. With a victory, the Dodgers ensure themselves of at worst a .500 season with their 81st win. I continue to believe that 91 wins takes the division. That'll require an 11-4 close out to the season. Again, not impossible, but a formidable task. Do the Dodgers have it in them? Again, the 2018 team raises doubts.